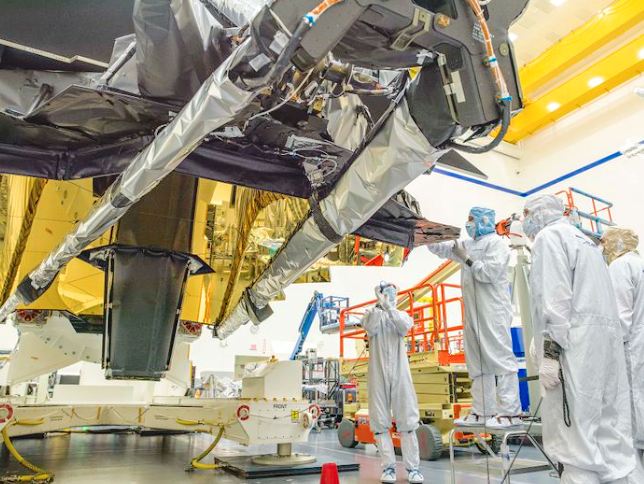 Technicians and engineers work to prepare the two halves of the James Webb Space Telescope for continued integration and testing. Excitement abounded as these two super elements of the James Webb Space Telescope successfully communicated for the first time. The test was completed by Northrop Grumman Corporation (NYSE: NOC), in partnership with NASA, and demonstrated operability of the electrical interfaces between the Optical Telescope element/Integrated Science instrument module (OTIS) and Spacecraft Element (SCE). With hardware for the telescope 100 percent complete, this is the first in a series of integration and testing efforts for Webb. The team tested operability of the commanding motors that control Webb’s 18 mirror segments, comprising the primary mirror. Like earlier simulation tests of hardware and software, the completion of this test was a continuation of new ongoing risk reduction efforts designed to ensure the success of future integration activities. 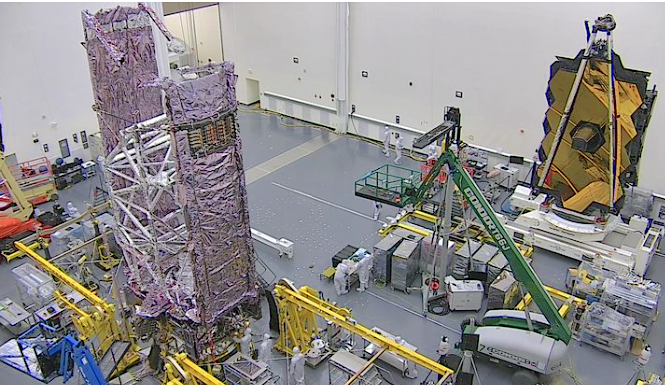 Scott Willoughby, vice president and program manager, James Webb Space Telescope, Northrop Grumman said that the successful completion of this test was a significant event in the testing and integration phase of the SCE and OTIS for the program. Completing tests such as this one are among many firsts for Webb, and they retire risk on Northrop Grumman's critical path forward toward launch. Once the telescope is fully integrated, the entire observatory will undergo more tests during what is called observatory-level testing. The James Webb Space Telescope will be the world’s premier space science observatory of the next decade. Webb will solve mysteries of the solar system, look beyond to distant worlds around other stars, and probe the mysterious structures and origins of the universe and our place in it. Webb is an international program led by NASA with its partners, the European Space Agency and the Canadian Space Agency.